Samsung Galaxy S8+ is compatible with Fido GSM, Fido HSDPA and Fido LTE. To configure Fido APN settings with Samsung Galaxy S8+ follow below steps. If the above Fido Internet & MMS APN settings do not work on your Galaxy S8+, make below changes to Fido Internet & MMS APN settings to get Fido Internet on your Samsung Galaxy S8+. If the above Fido Internet & MMS APN settings too do not work on your Galaxy S8+, make below changes to Fido Internet & MMS APN settings to get Fido LTE on your Samsung Galaxy S8+. For Samsung Galaxy S8+, when you type Fido APN settings, make sure you enter APN settings in correct case. For example, if you are entering Fido Internet & MMS APN settings make sure you enter APN as internet.fido.ca and not as INTERNET.FIDO.CA or Internet.fido.ca. If entering Fido LTE APN Settings above to your Samsung Galaxy S8+, APN should be entered as ltemobile.apn and not as LTEMOBILE.APN or Ltemobile.apn. Samsung Galaxy S8+ is compatible with below network frequencies of Fido. Galaxy S8+ has variants G955F, G955FD, G955U, G955A, G955P, G955T, G955V, G955R4, G955W and G9550. *These frequencies of Fido may not have countrywide coverage for Samsung Galaxy S8+. Samsung Galaxy S8+ has modal variants G955F, G955FD, G955U, G955A, G955P, G955T, G955V, G955R4, G955W, G9550 and v2. Samsung Galaxy S8+ supports Fido 2G on GSM 850 MHz and 1900 MHz. Compatibility of Samsung Galaxy S8+ with Fido 3G depends on the modal variants G955F, G955FD, G955U, G955A, G955P, G955T, G955V, G955R4, G955W and G9550. Samsung Galaxy S8+ G955F supports Fido 3G on HSDPA 850 MHz and 1900 MHz. Samsung Galaxy S8+ G955FD supports Fido 3G on HSDPA 850 MHz and 1900 MHz. Samsung Galaxy S8+ G955U supports Fido 3G on HSDPA 850 MHz and 1900 MHz. Samsung Galaxy S8+ G955A supports Fido 3G on HSDPA 850 MHz and 1900 MHz. Samsung Galaxy S8+ G955P supports Fido 3G on HSDPA 850 MHz and 1900 MHz. Samsung Galaxy S8+ G955T supports Fido 3G on HSDPA 850 MHz and 1900 MHz. Samsung Galaxy S8+ G955V supports Fido 3G on HSDPA 850 MHz and 1900 MHz. Samsung Galaxy S8+ G955R4 supports Fido 3G on HSDPA 850 MHz and 1900 MHz. Samsung Galaxy S8+ G955W supports Fido 3G on HSDPA 850 MHz and 1900 MHz. Samsung Galaxy S8+ G9550 supports Fido 3G on HSDPA 850 MHz and 1900 MHz. Compatibility of Samsung Galaxy S8+ with Fido 4G depends on the modal variants G955F, G955FD, G955U, G955A, G955P, G955T, G955V, G955R4, G955W and v2. Samsung Galaxy S8+ G955F supports Fido 4G on LTE Band 7 2600 MHz. Samsung Galaxy S8+ G955FD supports Fido 4G on LTE Band 7 2600 MHz. Samsung Galaxy S8+ G955U supports Fido 4G on LTE Band 7 2600 MHz. Samsung Galaxy S8+ G955A supports Fido 4G on LTE Band 7 2600 MHz. Samsung Galaxy S8+ G955P supports Fido 4G on LTE Band 7 2600 MHz. Samsung Galaxy S8+ G955T supports Fido 4G on LTE Band 7 2600 MHz. Samsung Galaxy S8+ G955V supports Fido 4G on LTE Band 7 2600 MHz. Samsung Galaxy S8+ G955R4 supports Fido 4G on LTE Band 4 1700/2100 MHz only in some areas of Canada. Samsung Galaxy S8+ G955W supports Fido 4G on LTE Band 7 2600 MHz. Samsung Galaxy S8+ v2 does not support Fido 4G LTE. Overall compatibililty of Samsung Galaxy S8+ with Fido is 100%. The compatibility of Samsung Galaxy S8+ with Fido, or the Fido network support on Samsung Galaxy S8+ we have explained here is only a technical specification match between Samsung Galaxy S8+ and Fido network. Even Samsung Galaxy S8+ is listed as compatible here, Fido network can still disallow (sometimes) Samsung Galaxy S8+ in their network using IMEI ranges. Therefore, this only explains if Fido allows Samsung Galaxy S8+ in their network, whether Samsung Galaxy S8+ will work properly or not, in which bands Samsung Galaxy S8+ will work on Fido and the network performance between Fido and Samsung Galaxy S8+. To check if Samsung Galaxy S8+ is really allowed in Fido network please contact Fido support. 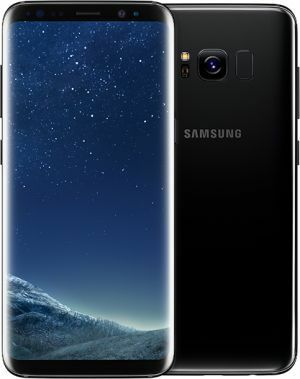 Do not use this website to decide to buy Samsung Galaxy S8+ to use on Fido.